A GAL NEEDS...: Something To Wear! A Blogtastic Extravaganza! Something To Wear! A Blogtastic Extravaganza! Welcome to 'A GAL NEEDS...Something To Wear' at A Blogtastic Extravaganza! We are over 100 blogs strong and we all have some great companies to feature and some great products to give away! So welcome to the hop and best of luck in your winning endeavors this week! You are welcome to follow my linky at the bottom of this post! The new year brings a whole lot of different opportunities and challenges. I want to help you meet those head-on and with confidence. How better to do that than with some great new clothing? I have 2 great prize packages and 4 absolutely wonderful companies. I’d appreciate your checking them out and I will award 2 of you with a great prize package worth approximately $100 each! Entering is easy! Just follow me on GFC and tell me which prize pack you would prefer! It’s cool if you want both, just let me know! Don’t forget to leave your e-mail! Also, optional extra entries are found here! Remember, you have until midnight, this Saturday, January 22nd to enter! Prize Pack I: Sporty You! Sometimes you need to be sporty and you will SO be there with this great package. Michigan, Mississippi, Nebraska, Nevada, Ohio State, Oklahoma, Penn State, Utah, Wisconsin). There are 32 scheduled license additions in 2011, including in the Spring some major hoops programs: Arkansas, Arizona, Louisville, Texas Tech, Kansas, UNC, Purdue, Pitt, etc. meesh & mia will provide an in-stock piece of choice to 1 reader! Uptown Girls Too – A unique traveling boutique that ships anywhere in the U.S. I personally own two of their cute hats and I LOVE them! I also own a couple of their cute bling teeshirts. Check them out on Facebook! New Collections are regularly updated! Uptown Girls Too would like to give one of my readers a sporty, black, distressed, blue bling hat, similar to this one shown! Prize Pack II: Feminine You! Sometimes feminine is the only way to go! If you are feeling your feminine side, this package is definitely for you! eShakti – Celebrate the beautiful woman that you are, whatever size you are. “And God Created Woman, beautiful in every size and shape! We create clothes to match. In every design: YOUR style, YOUR size, YOUR shape, YOUR choice.” Choose from 100’s of styles and then customize it exactly the way you want it, with easy step-by-step directions! Never make due with something again, and affirm your feminine side! eShakti will give one reader a dress of her choice! 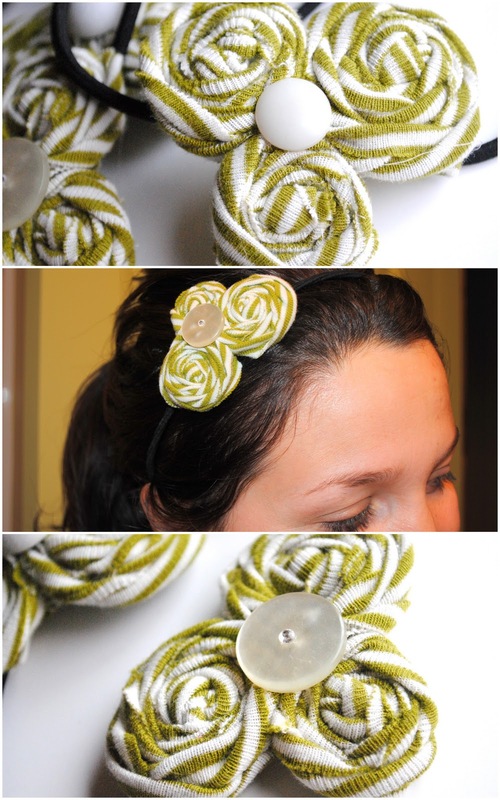 Spunky Junky will give one reader a sweet and individualized headband! Again, you have until midnight January 22, 2011 to enter. I will choose two winners from both this post and the extra entries post with a random number generator. They will be notified by e-mail and have 48 hours to respond! Thank you so very much to all of my wonderful and generous sponsors. This doesn’t happen without you! I was provided a sample for all companies except for Spunky Junky, who agreed to sponsor this giveaway with an item for the winner only! Many thanks! I follow your blog, and I would LOVE to win the Feminine You pack! I could really use a new dress, and love shopping at eShakti! I follow you on GFC and would love to win either!! I follow you through GFC. I would adore winning the Feminine You pack! I like both of the packages!! or surprise me! Id be lucky to win either ...thank you! follow your blog and would be happy with either! thank you! I would love to win either prize! I follow you on GFC! The prizes are both so great, so I would love BOTH! I visited Uptown Girls Too Blog and follow on GFC! I visited Spunky Junky and follow on GFC! I'd like to be entered to win either! I follow via GFC - and would prefer #2 but would love either! I would LOVE prize pack #2! Please enter me for Prize pack 2. I am a follower. I follow via GFC and I would love to win #2 the Feminine You Prize. Hi, I follow your blog publicly via Google Friend Connect. I'd like to win Prize pack #2. Thanks so much for the giveaway! I'm a follower and I would choose the Feminine You package, thanks! Adorable!! I choose Prize Pack 2! follow on gfc and would love prize pack #2. thanks! I follow on GFC! I would love the feminine Prize Pack #2! I follow via GFC, and like the spunky Junky prize pack. I love the belted wool coat from Meesh & Mia with the University of Alabama logo! I follow via GFC (kait) and I would love for you to enter me for both prizes! I'd be happy with either prize pack. i follow your blog and would love to win the first package, the sporty u! looks great! my gfc name is J.R. I follow you via GFC. I would love the feminine package (but either would be great). I follow you and would be thrilled to win either of the packages! Glad I found your blog, following now. I love the sweater in the sporty package. That's definitely the one for me. I follow and would love either prize...thanks for the chance to win! I would like to have the Prize Pack I: Sporty You! I follow on googl efriend and I would like either! Wow! I'd love any prize pack! New follower via GFC. Would love to win the Sporty You Prize Pack #1. Hi Helena, I am also an ABE Participant. I am following your blog, but not entering your giveaways. Have fun with ABE!! Public follower GFC and thank-you! I follow you on GFC and would like to enter for Prize 2! i like prize pack 1 - the sporty pack! New GFC Follower, and I'd like to be entered to win both. GFC follower, Thanks for the giveaway! I would love either package. Follow on GFC and would love either one!! GFC follower and I would love either prize package! I would love either prize package - both look great! I follow via GFC and prefer #2. I would love to win either package. I'd like to win either prize pack. I would love to win prize pack 1. I am a new gfc follower as jhb. Please enter me for both packages! I follow your blog and would love to win both of these great prizes. Thanks! I follow you via GFC, and I would love to be entered to win both prize packages! Thanks!! I follow via GFC. I like Prize pack #2. I follow in GFC! I'd love the Feminine You package! I follow you on GFC and I would love the Feminine You package! Thank you for the wonderful giveaway! I am following you via Google and on networked blogs!! Either prize would be great! I follow your blog through GFC! Thank you for hosting this really cool giveaway. A gal does need something to wear!! :D I'd love either of these prize packs!! I would love to win either one, too hard to decide! Would love to win SPORTY YOU! I follow on GFC and I'd like to win Prize Pack I.
I'm a new follower of your blog and would be happy to win either prize pack. Thanks. GFC and love the feminine you pack! I follow via GFC, I like the sporty!! I follow via GFC-Heidi Hartzell. I wouldn't mind either pack if chosen. I love all kinds of clothes! Thanks. I am a follower - would love to win any of the prizes!!!!! I follow on GFC and would like Prize 1 please. I became a follower via GFC and I'd love to win any prizes! Thanks for the chance! I follow via GFC and I would love to win the Feminine You prize pack! i'm a gfc follower and would love the first prize pack!! I'm a GFC follower, and I would love to win either prize! I'd love to win either package but if I have to choose the feminine you looks better to me. I follow on GFC. I'd like either prize! I'm a GFC follower and I'd love to win Feminine You! and I think both packages are great. Would love either. I love the Penn State Ruched Sleeve Tunic from meesh & mia. So cute. GFC follower. I'd like either prize pack. I really like this dress at eshakti. Liked Meesh & Mia on FB and said you sent me (Tressa Sherman). Followed Meesh & Mia on Twitter (TresSherm). GFC following Uptown Girls Too. I liked the Faux-wrap embroidered maxi dress at eshakti. Like Uptown Girls too on FB. Liked and left note on eShakti FB page (Tressa Sherman). Like Spunky Junky on FB and left comment on wall. Following eShakti on Twitter (TresSherm). Liked and left note on Uptown Girls Too FB page (Tressa Sherman). Liked and left note on Spunky Junky's FB page (Tressa Sherman). They don't have my school or my husband's at Meesha and Mia, but they do have a friend's. So I went with her's and picked the BYU Cozy Waffle Top. I'm a follower on GFC! I'd love to win either package but my first choice is the feminine you! would love the prize pack 1 Sporty You! I follow your blog publicly through google friend connect. I like the Feminine You prize pack. Thanks for the giveaway! Follow with GFC and would love to win either! Michele P. new blog follower via GFC please enter me for BOTH packages! GFC follower. I like prize 2! I'm a new follower via GFC(MonaG) and email. I would love to win the FEMININE YOU pack. and I'd like Prize Pack II: Feminine You! I would like either prize pack. I follow you via GFC and I would like to win prize package #2. I follow on GFC and would love to win either. I followed on GFC and I'd love to win either package. Thanks! 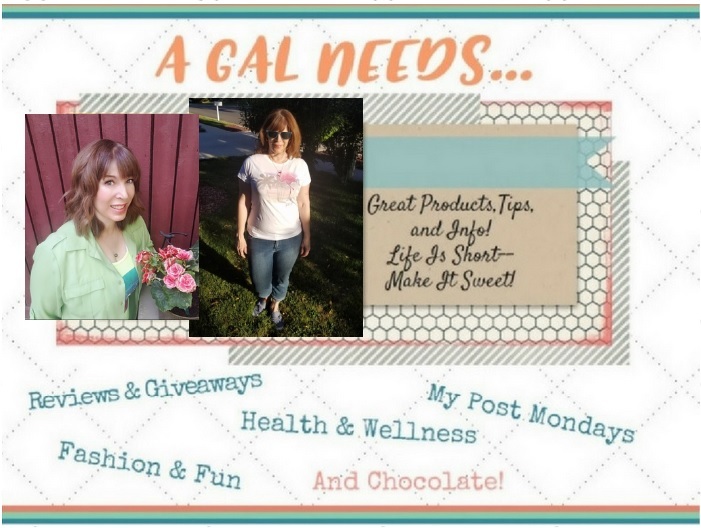 I follow w/gfc(talkingmomcents) and would love either prize pack! Either prize pack would be wonderful. I like the prize pack one and I am a new follower on GFC! I follow you publicly on Google Friend Connect (Lauren @ Hobo Mama). I would love #2: Feminine You! Thanks! I follow via GFC and any pack would be loved! I love the dresses at eShakti! So Prize Pack 2 is for me! I like eShakti on Facebook and left a message. OMG!! There are so many dress choices on the eShakti site! I want so many...I really like the shirt dresses. They have more of an A-Line skirt.